Class Update: New Barn Bakers course! 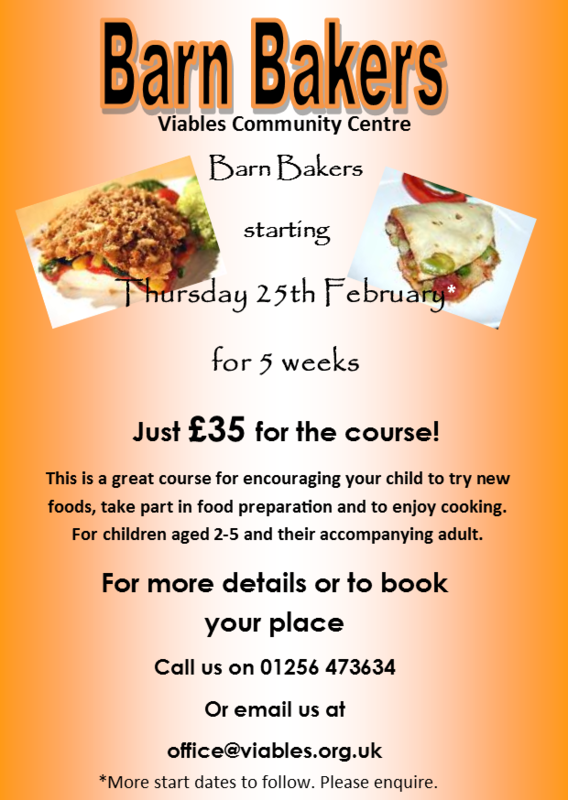 Barn Bakers course starts on Thursday 25th February, 1.30 – 2.30pm. 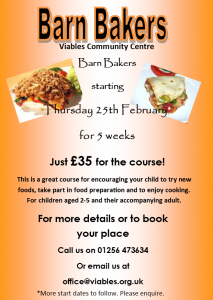 The 5 week course costs just £35 and includes ingredients. Aimed at parents or carers with children aged between 2 and 5, this is a great opportunity to learn about food preparation, hygiene and good foods. Places are limited to 12 per course so please book now to avoid disappointment.